If you’ve watched the news lately you may have heard of cryptocurrencies, Bitcoin being by far the most popular out of many that utilize this new blockchain technology. A new and exciting company that utilizes the same technology is Dentacoin; they merge the world of dentistry and blockchain to create a better, more secure way of finding dental services that is also more affordable than current solutions. The first thing most people ask is “what is blockchain”? To start, blockchain is very secure. It uses advanced algorithms and a distributed system to prevent people from hacking or stealing from the system. We spoke with Donika Kraeva, marketing manager at Dentacoin Foundation and she believes this level of security is essential for the medical field. It also works well being a distributed system, as dental professionals are scattered throughout the world. 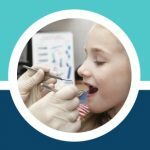 Dentacoin’s main goal is to make dental care more affordable and better for all patients around the world. To accomplish this they use blockchain technologies, and offer several different tools; let’s take a look at what each one does. Trusted reviews is group review app that allows you to be heard, and also read the reviews of others. This helps not only patients choose the right care professional, but also helps those professionals learn how they can improve. 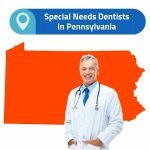 Overall, it creates a better dental service for all involved. Users are also able to earn dentacoins by using the service. These coins can be used later to pay for a variety of dental procedures. 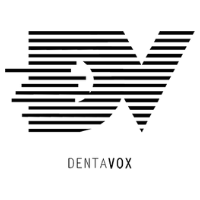 DentaVox is another tool that helps dental professional provide better service. The web app is full of customer opinions, and provides market data to dental professionals. This can help them improve their service, and see where they succeed as well as where they need to do better. Through the webapp, patients can participate in questionnaires which will help them earn more dentacoins. Dentalcoin Assurance is a blockchain based insurance. Being blockchain based means it’s super secure, and that no single person has access to all of your information. 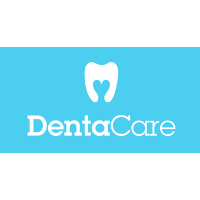 Lastly, is the Dentacare app. This app is focused on good oral hygiene, and maintaining long term oral health. It provides resources and tips to do just that, is a great resource for those looking to improve their at home care of their teeth. In addition to the currently available tools, Dentacoin has a series of tools currently in development. Health Database is a safe and secure home for all of your medical records. Only you and authorized medical personnel will have access to it. A common theme with a lot of the tools is the ability for users to earn Dentacoins for participating. These coins can then be used to purchase dental services. 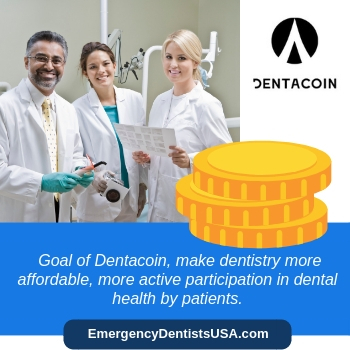 This is the two-fold goal of Dentacoin, make dentistry more affordable while at the same time encouraging a more active participation in dental health by patients. All “coin” cryptocurrency work like currency exchanges. When looking to buy, you’ll see an exchange rate between your currency and the value of the coin. Like traditional currency, these prices can fluctuate hourly, so it’s hard to say what the conversion rate will be at any given time. 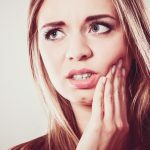 The easiest place to buy Dentacoin is right on their website. Look for the “buy” button, and you’ll be prompted to enter how much of your currency you’d like to spend, and how much that translates into dentacoin. 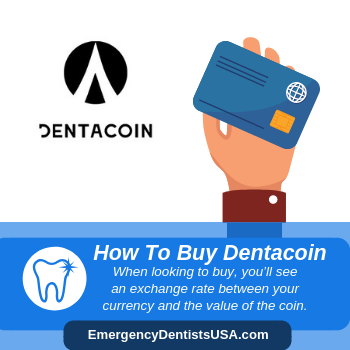 There are also a variety of other exchange platforms that allow the purchase of dentacoin. If you already have a wallet there, you can check to see if they support dentacoin. 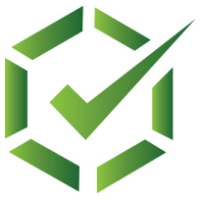 Being the first of its kind, Dentacoin is in a good position moving forward. 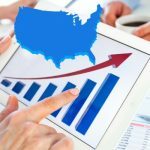 According to Kraeva, “Emergency patients – especially if they happen to be abroad – can also benefit from faster, cheaper, more secure payments, independent from governments, banks or national borders.” Blockchain and cryptocurrencies are predicted to boom in the coming years, and potentially replace the traditional way of doing businesses. There are currently partners accepting DCN as a form of payment in 20 countries and Kraeva says efforts are concentrated on further expanding the geographic scope of Dentacoin. If this future comes true, early adopters of Dentacoin will be in a great spot for years to come!